Nice flavour and idea - and even a mana curve that spikes pretty early for an angel tribal deck! As I see Sanctimony, Absolute Law and Voice of Law, I was wondering whether the reason why they are there is mostly flavour or there are pleny of red-based decks in your playgroup. I agree with WhichKing regarding Nykthos, Shrine to Nyx: that land would fit nicely here. I also see that Emeria, The Sky Ruin is already in the maybeboard. 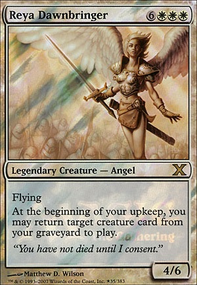 Would you consider from creature side Radiant, Archangel (in multiplayer she get pretty big and is still thematically appropriate) and and enchantment such as Boon Reflection (not sure how much it fits the Christmas theme, but would work with the many lifegain effects of the deck)? 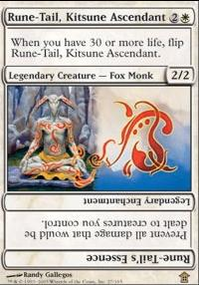 I removed Absolute Grace and Absolute Law because we (my table) decided as a playgroup to ban those cards for how badly they limit others' decks from being able to function on the cheap or interact with the table as a whole. They really don't print hosers like they used to, and probably for exactly this reason. Thanks for the ideas! 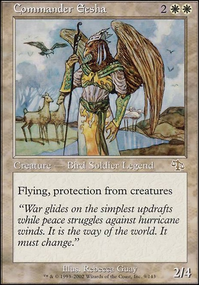 Maybe I could sideboard some things like Any of the Runes of Protection, Absolute Law, and Island Sanctuary? 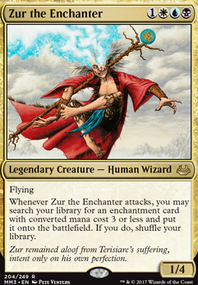 Thanks BabyK and GeeksterElesh Norn, Grand Cenobite is nice but at a 7 cost, I could be dead before playing that card. Leyline of Sanctity definitely good for burn spells. colton815 on How does Protection work?? Absolute Law specifically says CREATURES get protection from red. not players. Runed Halo and Burrenton Forge-Tender are very self-explanatory. Ryjo on How does Protection work?? In the case of Absolute Law, it gives all creatures Protection from Red. 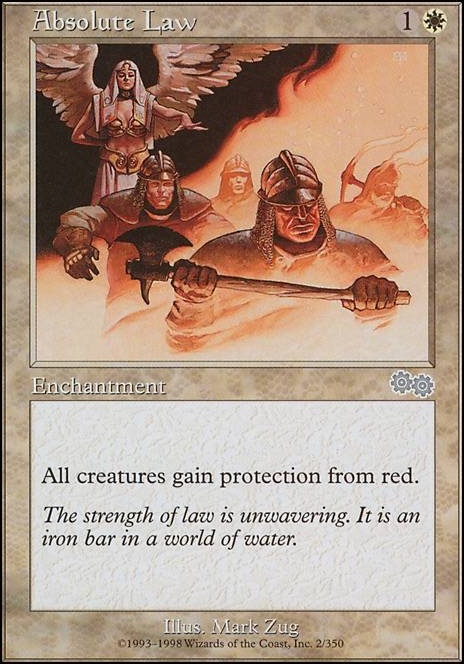 Protection from Red means that creatures can't be blocked by red creatures, dealt damage from red sources, targeted by red spells or abilities, or enchanted by anything red. 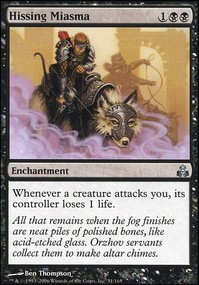 Your opponent can still attack you, since you don't have protection from red, though any non-red creatures you have will be able to block red creatures and won't take any damage in combat from red creatures.